We all knew Amazon would cook up some terrific last-minute sales for Father’s Day 2018 shoppers, but we had no idea the company’s two most popular streaming media devices ever would both drop to their lowest prices ever. 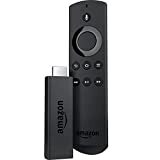 Amazon has the best-selling Fire TV Stick with Alexa Voice Remote available for $29.99 right now, and it might just be the best value in streaming. 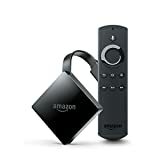 If you want to step things up with 4K resolution and HDR support, the Fire TV with 4K Ultra HD and Alexa Voice Remote is on sale for $49.99 right now, down from its normal price of $69.99. These are both killer deals, and they’ll undoubtedly disappear by the end of the week.